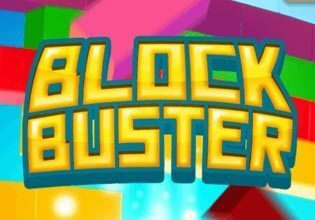 Block Buster brings the retro charm of a classic brick breaking game, that you just can't put down, to your phone, tablet and your desktop computer. The game features not less than forty levels packed to bursting with fun and increasingly hard challenges.You move the paddle from side to side using your finger or the mouse and try to bounce the ball around the screen to destroy all the blocks. Some blocks will drop mighty power ups that give you multi-ball, set the ball on fire or lengthen your paddle if you manage to pick them up. But be careful not to pick up one of the negative extras, that could for instance shorten the platform. Can you go through all the levels?